Leo Keith Thorsness (February 14, 1932 – May 2, 2017) was a colonel in the United States Air Force who received the Medal of Honor for his actions in the Vietnam War. He was awarded the medal for an air engagement on April 19, 1967. 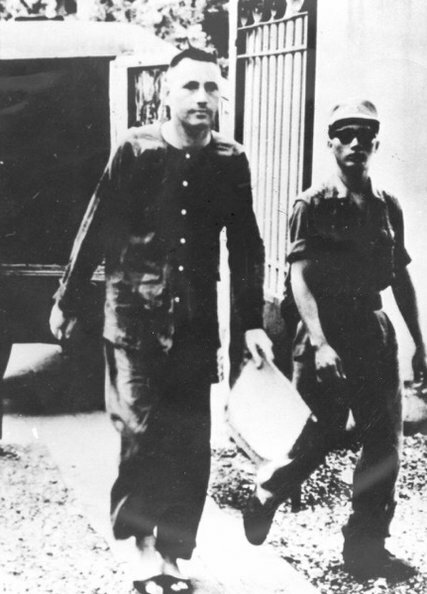 He was shot down two weeks later and spent six years in captivity in North Vietnam as a prisoner of war. After his military service, Thorsness served one term in the Washington State Senate. 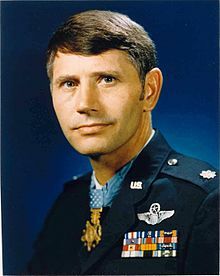 Col. Leo K. Thorsness, one of the most highly decorated American airmen of the Vietnam War and a belated recipient of the Medal of Honor for his heroism on a mission that took place 11 days before he was shot down and taken prisoner, died on Tuesday in Jacksonville, Fla. Colonel Thorsness, who had been brutalized during his six years of captivity at the notorious North Vietnamese prison known as the Hanoi Hilton, where he was a cellmate of John McCain’s, was 85. A great American of Scandinavian descent from America's Midwest.